Most of the long-awaited revision of the Department for Transport's (DfT) Traffic Signs Manual (TSM) has been published this week, both as printed documents and as PDF files to download. The three-year period when the previous advice had to be interpreted in the context of the revised 2016 Traffic Signs Regulations and General Directions (TSRGD) is now largely over. This is particularly important for regulatory signs, as the relevant TSM chapter is frequently referenced by local authorities, parking adjudicators and sometimes the courts, to help determine whether measures are enforceable. The new Chapter 1 was produced at the Institute of Highway Engineers (IHE) Traffic Signs Conference in November. It is a general introduction to traffic signs and includes information on their legality, visibility, mounting, etc. 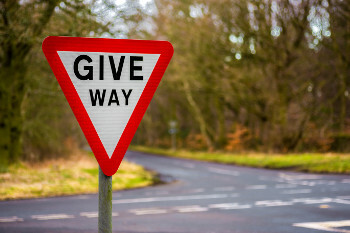 This version has a renewed emphasis on minimising sign clutter and has some new “golden rules” for avoiding the over-use of signs, based upon the work of Sir Alan Duncan and his team that addressed this topic. Chapter 4 on warning signs was produced at the same time as is mainly just updated for the TSRGD changes, such as the new way of specifying warning signs and the reduced legal requirement for electrical illumination. These two chapters have proved so popular that they have already gone out of print, but a reprint is expected shortly. The remaining chapters have arrived this month, and all may now be ordered as printed documents or downloaded in PDF format from the DfT website. The PDFs have hyperlinks, enabling you to locate quickly a reference or illustration. Chapter 7 on the design of bespoke signs is much expanded with all the important directional signs from the 2002 TSRGD illustrated (so you can now put that old document to bed). It has guidance on the new forms of dedicated lane signs, tourist gateway signs, and advice for bilingual signing in Wales and Scotland. I am proud to have been involved in writing and illustrating some of the new material. Chapter 5 covering road markings is slimmer than before, as those that are regulatory have mostly moved to Chapter 3, and others to Chapter 6 on traffic control (expected later this year). The changes needed for it to work with the 2016 TSRGD are therefore fairly minimal. The most important new volume is therefore Chapter 3, as so much hinges upon the correct use of regulatory signs both for civil enforcement and for the police to be able to prosecute for speeding and other offences through the criminal justice system. The chapter covers the many new forms of sign introduced in 2016 and the new ways in which worded signs may be specified, making them much more flexible. It discusses new options, such as using a single terminal sign, or omitting either the sign or the marking for a parking bay, but makes it clear that the authority remains responsible for these types of decision. I am very pleased to have helped the DfT in the creation of these new documents, mainly in my role as chair of the Institute of Highway Engineers Traffic Signs Panel, as the IHE has been one of the most active commentators on both consultation versions and more limited ‘peer review’ drafts . As a result, I am helping practitioners to get up to speed on the changes, both in summary the CIHT Theatre on day two of Traffex, and in full day training sessions looking at the new volumes in greater depth. Simon Morgan of Buchanan Computing and chair of the Institute of Highway Engineers Traffic Signs Panel.